Does anyone know if speed and distance tracking on the Series 3 is more accurate than on the Series 2? I have a Series 2, and am using it for indoor runs but am finding the tracking data WAY off. Am considering an upgrade, or change to a dedicated (Garmin) or something similar for accurate numbers. Any help or suggestions would be appreciated!! 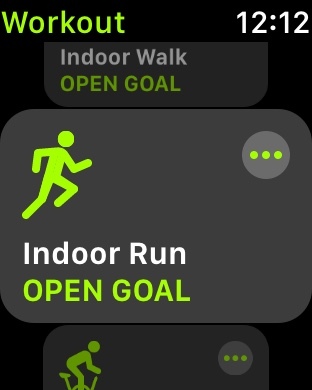 Re: Apple Watch Series 3 speed and distance tracking for indoor runs? I know people using the Series 3 for speed and tracking. It is not as accurate as my Garmin 5s. I looked at a lot of watches before I chose the 5s. I strongly recommend the Garmin for activity tracking. I know the exact distance I am running as I run on an indoor track. When I complete my run it will be exact to what I have done. Apple Series 3 will either be to much or less than the run. That's every time too. Not just the odd time. I also find Garmin's apps are far superior to Apple's with many more customization features. I did a lot of research on the Garmin watches before purchasing one. The only thing I miss with the Garmin is not being able to respond to a notification. But that's fine. I'd rather have the accuracy. Seriously check them out. I think you'll be surprised. Sure thing. Here is the link. I recommend no less than the Garmin Fenix 5s. It is getting near the top of the line but with all the thousands of apps available to it more than worth the money you will spend. It is comparable in price to the SS Apple Watch. I do both nutrition and activity tracking with my Fenix. And it is specifically set for my activities. I run, swim. stair climb and weight lift. It tracks these activities individually. Plus it is very accurate with calorie counts. Have a look at all of the watches available by Garmin. You may find one that is better suited for yourself. Syncs fantastic with an iPhone. I went with the Fenix 5s because it was best suited for my needs. I bought mine at Sportscheck. They carry pretty much the whole Garmin line up. Just make sure you go to one of their larger stores. It's a very smart watch in that the more you use it the harder it becomes to just match what you always do for activity. You can use Garmins challenges or set your own. Can set maps for cycling or monitor stationary cycling. No matter the activity there is most likely an app for the watch to properly track it. Seriously worth looking into. I've had mine for over six months and could not go back to Apple Watch unless Apple can up the ante. Apple Watch apps are junior in comparison to Garmins. James, it concerns me that your watch is so inaccurate for indoor runs. I have noticed with my series 2 Nike+ that there is minor inconsistency when I run on my treadmill, but for other indoor running it is very accurate. I run indoors twice a week after lifting at our rec center and I get very consistent and accurate results on the indoor track. 1. Not running with the same gait on the treadmill compared with outdoors, particularly the arm swing. Are you using the workout app on the watch? Is that the app that's not reporting correctly?